Five males – aged 15, 16, 19, 20 and 26 – were arrested under the Computer Misuse Act in raids across the UK early this morning, with all suspects currently being held by police for questioning. A Metropolitan Police spokesperson said that today's arrests relate "to recent and ongoing distributed denial of service (DDoS) attacks by an online group calling themselves 'Anonymous'." 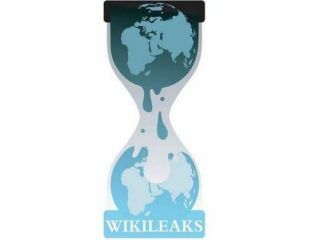 Anonymous were behind a recent spate of DDoS attacks on companies including Amazon, PayPal and MasterCard, all of whom were seen to have made moves to distance themselves from any association with WikiLeaks, following the high-profile leaks of thousands of sensitive diplomatic cables late last year. The latest arrests follow an investigation by the Police Central e-Crime Unit working in conjunction with a number of law enforcement agencies in Europe and the US. The five males in question were arrested earlier today at homes in the West Midlands, Northamptonshire, Hertfordshire, Surrey and London. We expect further updates on this story from the Met's Central e-Crime Unit shortly.